OpLaunch helps individual contributors enhance their new product development capabilities so that they can improve their Development Experiences. DX includes the emotions, beliefs, preferences, perceptions, physical and psychological responses, behavior, and accomplishments of individual contributors (engineers, scientists, coders, domain experts, market specialists, communication specialists, ...) that occur before, during, and after development. Development Experience Design is a proactive approach to shape Development Experience (DX). Orientation includes how an individual approaches a problem through the interplay of new information, previous experience, and analyses & synthesis. Orientation is shaped by theories, models, principles, and unfolding circumstances. One’s orientation establishes the boundaries of the decisions that can be made and the actions that are possible. 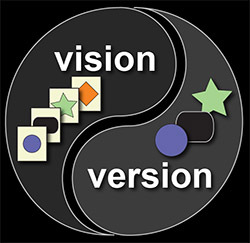 Orientation includes detecting mismatches between Vision and Version (forecast and actual, plan and actual, belief and reality,...) and initiating corrective action. When an individual transitions from an orientation that is dominated by compartmentalized, sub-optimization efforts to an orientation that also embraces a diverse set of perspectives to optimize the system, their Development Experience improves. While some organizations develop new products by assigning tasks to existing, available resources, our approach invests to enhance the capabilities of individual contributors. Instead of templates, tutorials, patterns, and checklists, our approach goes beyond compliance with explicit processes to training individual contributors to do things beyond their current ability, to do new things, to analyze the results, and to correct their mistakes. While some offer common incentivization techniques, the OpLaunch approach promotes proficiency. We help individuals improve specific NPD skills. We improve the implicit coordination, cross-functional collaboration, mutualism, and the cohesiveness of efforts within development networks through deliberative practice in coaching, consulting, and training formats. To win in new product development, some advocate investments in processes or the acquisition of tools. These approaches tend to be less effective when the individual contributors are geographically dispersed and not all of the individual contributors work for the same company. Some shape their approach new product development from the perspective of expected financial returns. Others advocate a focus on user experience (UX). A UX approach addresses the context of the customer. The OpLaunch approach is consistent with the Principle of Obliquity. For better results, some goals should be achieved indirectly. To develop better new products, invest to enhance the NPD capabilities of the individual contributors. Our approach enables individuals to do things beyond their current NPD abilities. Development Experience (DX) is the set of perceptions and responses from a diverse set of individuals that develop a new product, system, or service. DX includes emotions, beliefs, preferences, perceptions, physical and psychological responses, behavior and accomplishments that occur before, during, and after development. Factors that influence DX include the system, the individuals, and the context of development. DX varies over the time from concept to commercialization. Well-crafted DX capitalizes on the mixed nature of diverse disciplines entering and exiting the development effort. DX strives to capitalize on the mixed nature of groups contributing to development and their approaches (such as Stage-Gate©, waterfall, agile, Kanban, and lean). Efforts related to Development Experience (DX) are distinct from efforts that focus on the product or the intended user of the product. A portion of this definition is based on the ISO 9241-210 definition of User Experience, UX. Development Experience Design is the design of the experiences of a diverse set of individual contributors during the development of new products. It includes factors related to the development environment such as those that impact cooperation, collaboration, cohesiveness, and harmony of anyone associated with the new product development network at any time during development. It addresses experiences related to the development of items such as the hardware, software, interfaces, purchase, installation, setup, operation, and maintenance of the new product. It spans the time from concept to commercialization. WHO: A designer shaping the experiences of individual contributors from many disciplines. Some individual contributors are full-time-equivalents (FTEs). Some contributors participate part-time. Some contributors are involved with the project for a short time (such as a few hours or a few days). A DX influencer is a person that has a significant impact on DX because of their intrinsic approach to development. WHAT: Designing for a better experience for participation in NPD efforts by addressing factors such as cooperation, coordination, and collaboration. WHERE: DX impacts individuals at multiple sites. Some individuals at a central location. Others near the central location. Others are remote. HOW: A DX designer enhances the capabilities of individuals by providing better orientations, pathways to proficiency, and strategies to win. More than processes, tools, patterns, and templates Beyond individuals that are thought of as interchangeable resources. A Development Experience Designer is an individual that strives to impact the perceptions and responses of a diverse set of contributors during the development of new products. A DX Designer strives to enhance the new product development capabilities of individual contributors. A DX Designer explores factors related to the development environment such as those that impact cooperation, collaboration, cohesiveness, and harmony of anyone associated with the new product development network at any time during development. OpLaunch helps individual contributors develop their innovation capabilities using development experience (DX) design within consulting, coaching, and training formats. Mark A Hart coined these DX-phrases in March 2013. OpLaunch helps individual contributors enhance their capabilities in new product development (NPD) networks so that they can improve their Development Experiences (DX). By enhancing the capabilities of individual contributors and the quality of their interactions, individual contributors are more engaged and there is a better return on development investments. 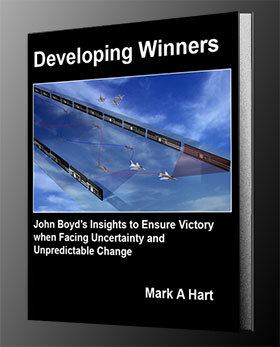 The book "Developing Winners: John Boyd’s insights to evolve your capabilities for victory when facing uncertainty and unpredictable change" by OpLaunch founder, Mark A Hart will be published in 2016.